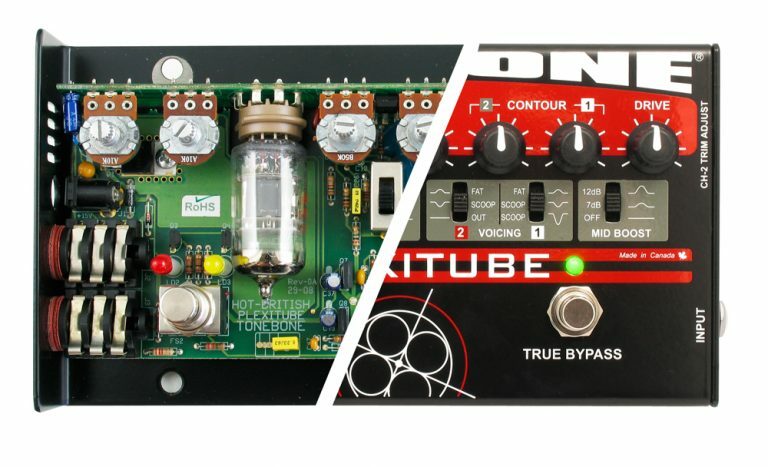 The Plexitube is a true-bypass, dual-channel tube distortion pedal that utilizes the warmth and harmonics from a 12AX7 tube to deliver over-the-top distortion tones. The Plexitube is an extremely powerful dual-channel tube distortion pedal that offers a rich, harmonic high-gain experience like no other. 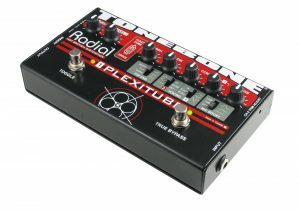 Designed for practicality, the Plexitube’s dual channels make it a one-stop-shop for clean, rhythm and lead switching. 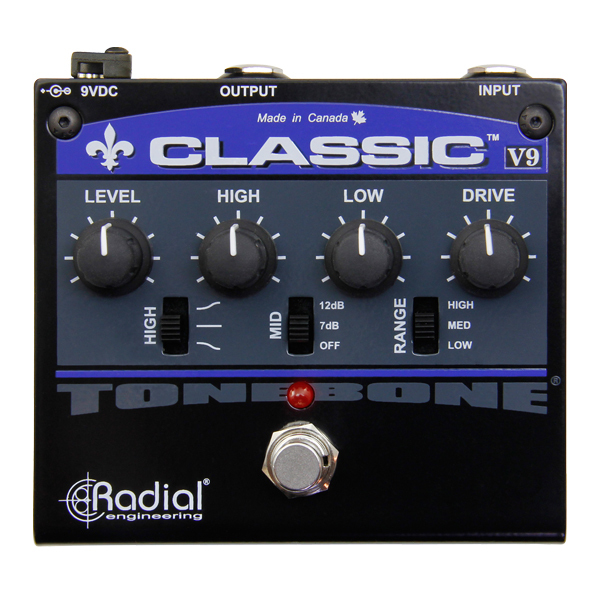 Channel 1 is optimized for massive rhythm tones, whereas channel 2 has been optimized to produce razor-sharp cut and smooth sustaining mids to ensure that your solos are heard. Channel 2 is further augmented with an effects loop to eliminate tap dancing. The metal gods are calling! 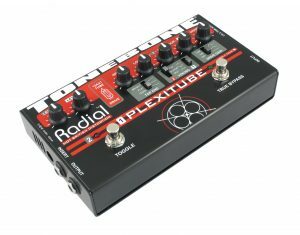 "Having a distortion pedal with with so much firepower is an almost giddy joy, and the Plexitube's ballsy tones and versatile tweakability earn it an Editor's Pick Award." "Hugely flexible and full of surprises... 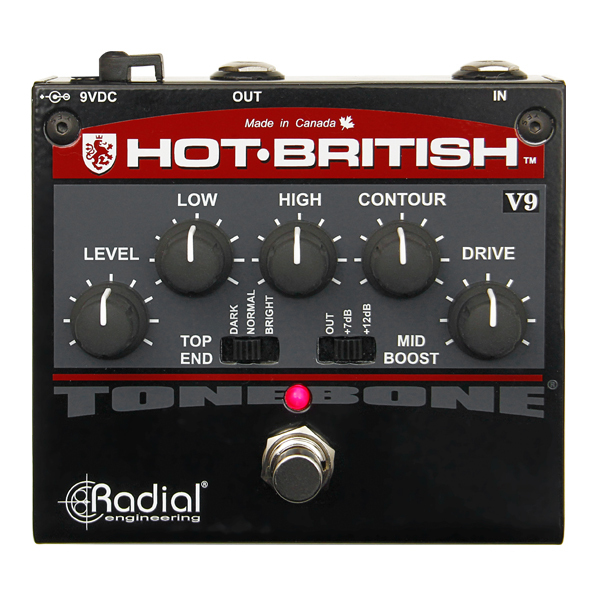 It's difficult to find a bad tone from this pedal; we found a range of new possibilities every time we plugged in and started a new tweaking session." 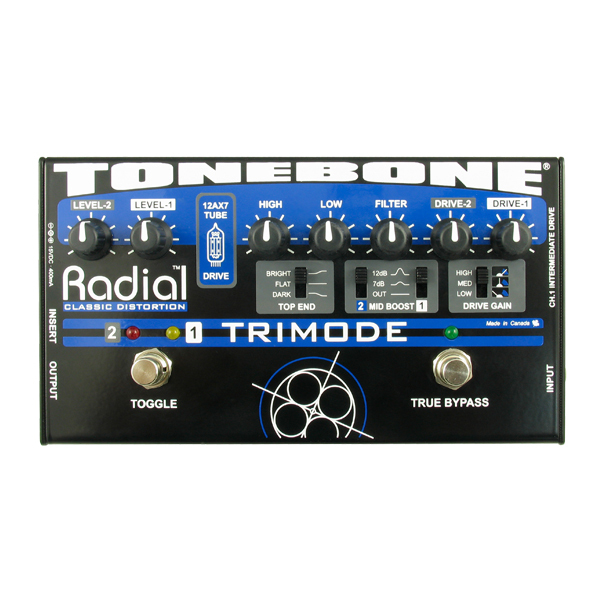 "Radial Tonebone pedals are the must-have tools for musicians that are serious about their tone. 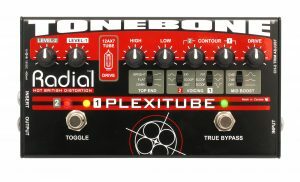 Give me my Plexitube lead tone or give me death... nothing else will do!" "I use the Plexitube for all kinds of sessions and gigs. It's incredible! 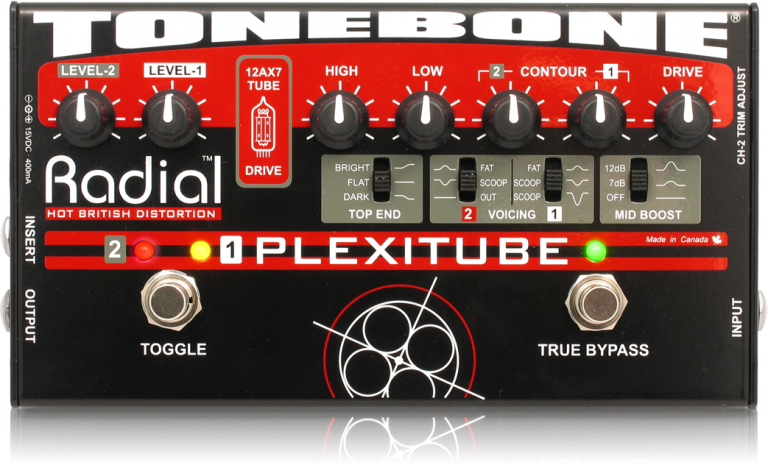 Many manufacturers use the term 'stack in a box', but the Plexitube is the real deal. 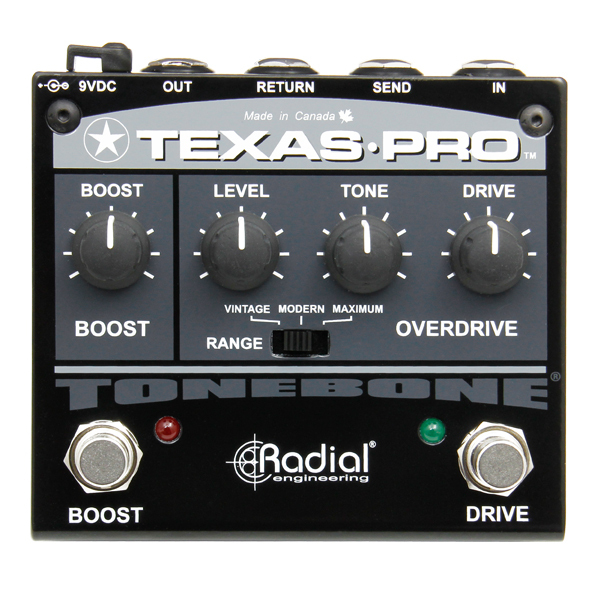 I've never had so much control over my tone. I'm truly addicted."